Consultation with the Mi'kmaq of Nova Scotia on mineral exploration and development projects, and on mining-related policy issues in the province, is intended to meet the Government of Nova Scotia's legal obligations to consult with the Mi'kmaq prior to making decisions that may adversely affect established or asserted Aboriginal or treaty rights, particularly in respect to any decision or activity concerning Crown land, water, or a natural resource. In addition to meeting legal obligations, the consultation process is also intended to meet government policy objectives to better inform the Mi'kmaq and to share information leading to improved decisions, to avoid unnecessary regulatory delays, and to inform the Mi'kmaq of economic development, training and partnership opportunities with the mining industry. An important part of this consultation process is the Mining Consultation Table. 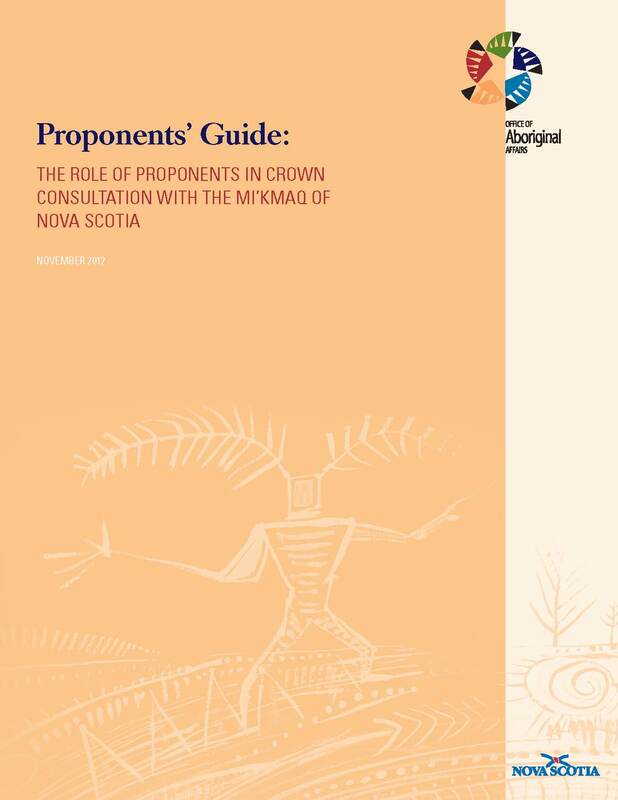 Following the Terms of Reference for a Mi'kmaq - Nova Scotia - Canada Consultation Process (https://novascotia.ca/abor/docs/Framework-Agreement.pdf), and guided by the Office of Aboriginal Affairs (https://novascotia.ca/abor/), Mi'kmaq representatives and officials from departments with policy and regulatory authority for exploration and mineral development projects, meet regularly at the Mining Consultation Table. Meetings of the Mining Consultation Table provide an opportunity for government to brief the Mi'kmaq on exploration and development activities in the province, on mineral policy, and on opportunities for Mi'kmaq business development. In return, the Mi'kmaq have an opportunity to express their comments on mineral projects and mineral policy issues. At some meetings, project proponents are invited to make presentations on their exploration or development project.